I hadn't had a Saturday off in probably 4 years! I've always worked Saturday's, but recently this semester since I graduated, I can work more during the week, so I get weekends off! Although I work Friday and partial Sunday, having Saturday's off is so amazing! 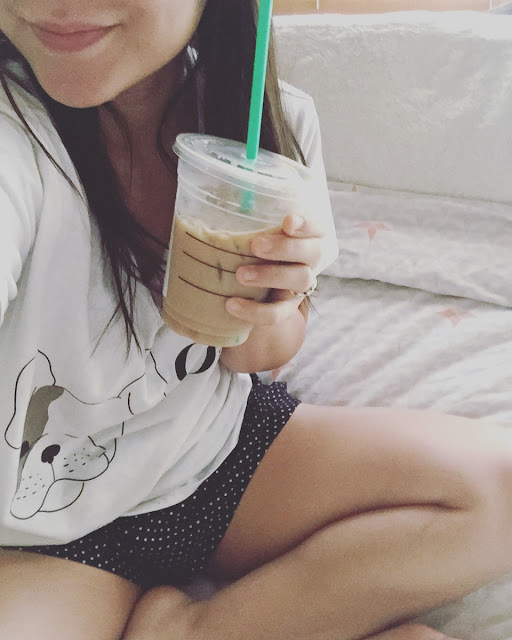 It's such a relaxing day for me, I love sleeping in, spending all day with Elias (he gets weekends off too), and just being lazy . . it's so comforting to stay in PJs all day. So this Saturday I picked up a coffee and stayed snuggled in bed . . . pure bliss !